Polling in Arunachal Pradesh will be held in a single phase on April 11, 2019. The state will be voting simultaneously for Lok Sabha and assembly constituencies. There are 2 Lok Sabha and 60 Assembly seats in Arunachal Pradesh. The counting of votes will be on May 23. The prime contest is between Bharatiya Janata Party (BJP), National People's Party and Congress. The Seppa West, Pakke Kessang, Itanagar, Doimukh, Sagalee Assembly constituencies in Arunachal Pradesh will go to poll in the first phase on April 11. Arunachal Pradesh will witness a tough fight between the incumbent NPP, the BJP and Congress Party will be witnessed. 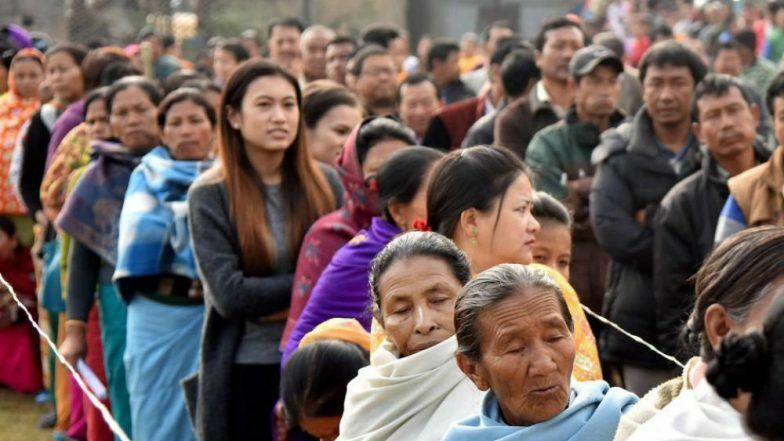 Arunachal Pradesh Assembly Elections 2019 Schedule: Voting to be Held on April 11, Result on May 23. Meanwhile, the Lok Sabha polls 2019, along with assembly elections in some states, will take place crosswise the nation between April 11, 2019, and May 23, 2019. While voting will take place in seven phases between April 11 and May 19, the national election results will be announced on May 23.